Vermont Hills Family Life Center (VHFLC) has been providing quality childcare and family support throughout the Portland Metropolitan area since 1979, catering to the Portland, Beaverton, Banks, and Hillsboro regions. We currently operate as one of the most extensive local nonprofit childcare providers, servicing over 20 school sites with 1,400 combined preschool and school age children. 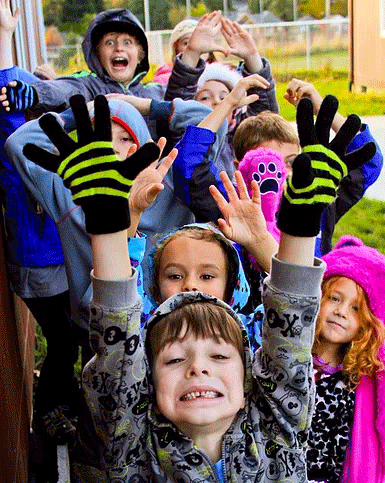 At VHFLC, we enrich children's lives by providing Early Childhood Education (ECE), aftercare, and summer camp environments that are secure, accommodating of all developmental stages, and respectful of each child's unique ability to experience fun, wonder, and challenge. Our teachers meet on a weekly basis to create fun and well-rounded curriculum, focusing on character-building, critical thinking, and interpersonal skills. Activities also emphasize creative expression and physical health. VHFLC strengthens the child's entire support network by supplying positive role models in the form of our staff – who receive regular training in child development, learning, and play – and by offering parenting and early childhood education programs to the family and general public.